One final project to wrap-up Celebrate the BOY. 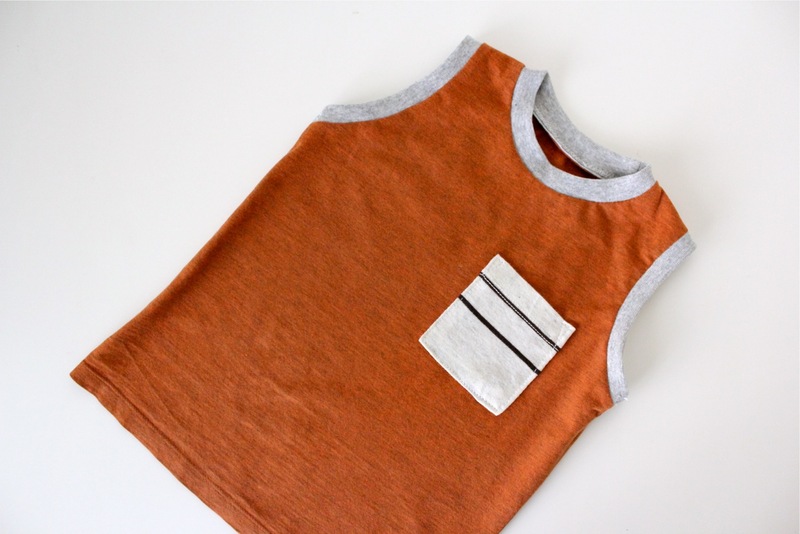 It’s a simple spin on the Basic TEE I shared 2 weeks ago and works great for Texas summers. I told him it was a muscle Tee and he said, isn’t it a tank top? Fair point. But doesn’t muscle tee sound cooler? Muscle Tee it is. He thought it was fun to show off his (growing) muscles and actually surprised me by really loving this outfit. He asked if he could wear it the rest of the day. You gotta it Mr. Muscles. The sleeveless Tee is just as easy to make as the Basic Tee. 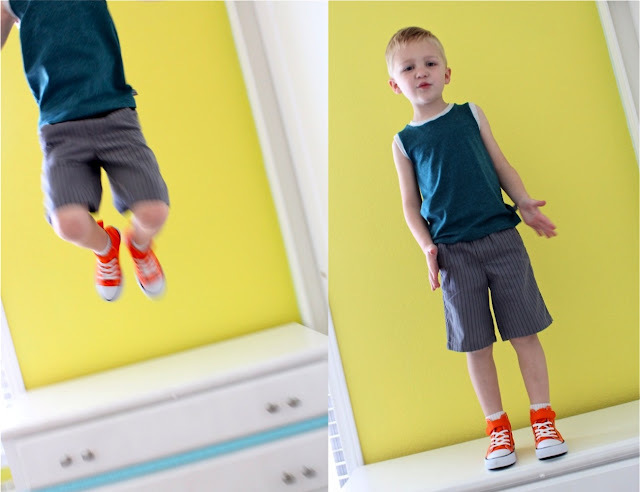 Start by reading the Basic Tee tutorial and download the free size 4T Pattern . And now it’s time for that mysterious dotted line. Ooooo. 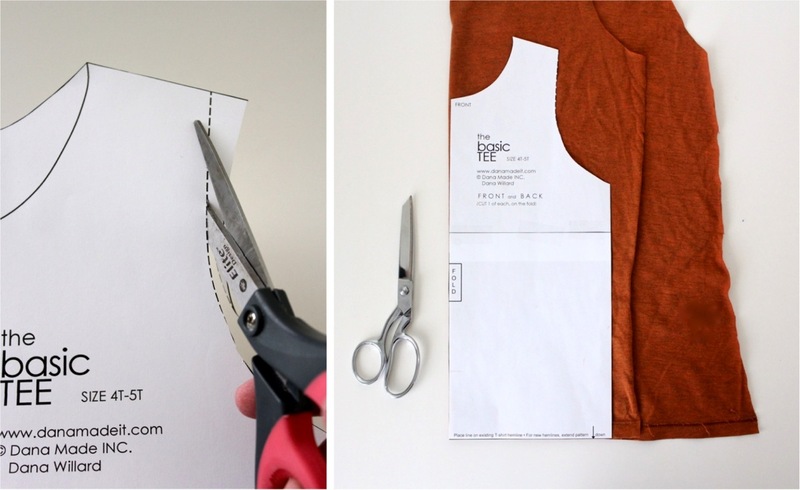 Cut along the dotted lines of the Front and Back pattern pieces and you have Muscle Tee pattern pieces ready to go! NOTE: Make sure your write “Muscle Tee” on the new pattern so you aren’t confused the next time you go to make a Basic Tee and pick up the wrong pattern. • Sew the neck ribbing as shown in the Basic Tee. Then, rather than adding sleeves we’re going to add armhole ribbing. • With right sides of the folded ribbing and t-shirt armhole together, stretch and pin the ribbing to the armhole. First find the center point of the ribbing and pin that to the center of the armhole. Then pin the ends of the ribbing to the ends of the armhole. Then continue stretching, pinning, and evenly spacing the ribbing along the armhole. • Sew the ribbing in place using a straight stitch and a 1/4 inch seam allowance. 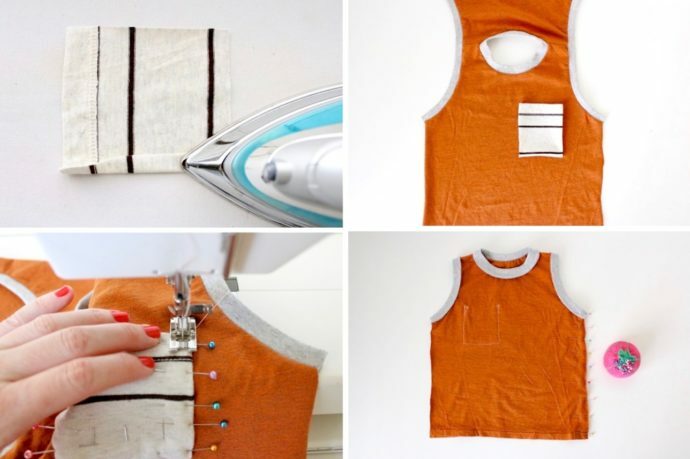 Iron out your seams. 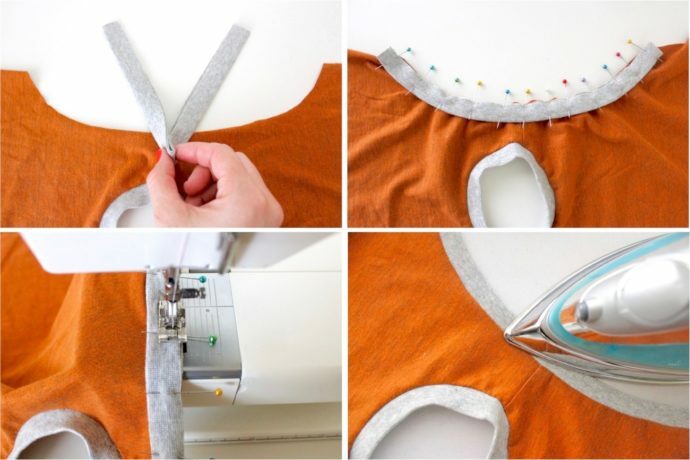 • To add a pocket, cut a small square (or any shape), iron the edges under (sewing the top of the pocket down first as shown in this tutorial), position it on the Tee, pin it in place, and sew it down with a 1/8 inch seam allowance. • With right sides of the Tee together, pin and sew the sides of the Tee together. • When you’re finished with your Tee, the side seams at the armholes will be poking into the armhole slightly, which might be uncomfortable to wear. So, sew the side seams down on the ribbing about 1 inch. Owen thought Muscle shirts gave him Jedi powers. Is he ready to punch me? Or flex me? He’s probably just happy this is the last photoshoot he has to do for a while. Now head over to Made by Rae to see what she’s sharing. Love these, they really suit Owen. I can’t wait until it’s warm enough for my boys to wear some of these. It snowed again here in the UK last night. Celebrate The Boy is such a great series, I’ve loved following along this time. Those look awesome. Great job! What a stud! Love it Dana. I made my first muscle tee last summer when we were having 107 degree days here in St. Louis. My son loved them and they were such a quick sew. Cute! Thanks for the free pattern! They were always ‘muscle shirts’ in our house! 🙂 Super cute! Pinned! Well, my boy is 10 months so I’ve got plenty of time to learn and improve my sewing with knits skills…! I just tried to make the tee from a onesie pattern and I definitely have to practice a bit more, I’ll blog about it soon although I’m a bit embarrassed! I’ll share the link too. Thanks for all this tutorials! Aw he’s such a cutie!! Love the muscle tee!!! This is adorable…all your sewing items are adorable! I really like your tutorials. I made the PJ bottoms. The only question I have is … Do you have any trouble sewing with knits? While make the PJs, my fabric kept getting caught in my machine. To the point of having to take the plate off to get the fabric out of the sewing well/hole! It was so frustrating, that I almost gave up. I used a ball point needle size 14, even tried size 11, didnt matter. Would love to try this, but skeptical cause of all the problems I had with the PJ bottoms. FYI, I have a brother sewing machine and a Viking. Bravo again, you make it look so easy. You are so talented!! cute! I think I’ll do some girl ones for the summer! Thanks! Very cute! Definite make for the summer! 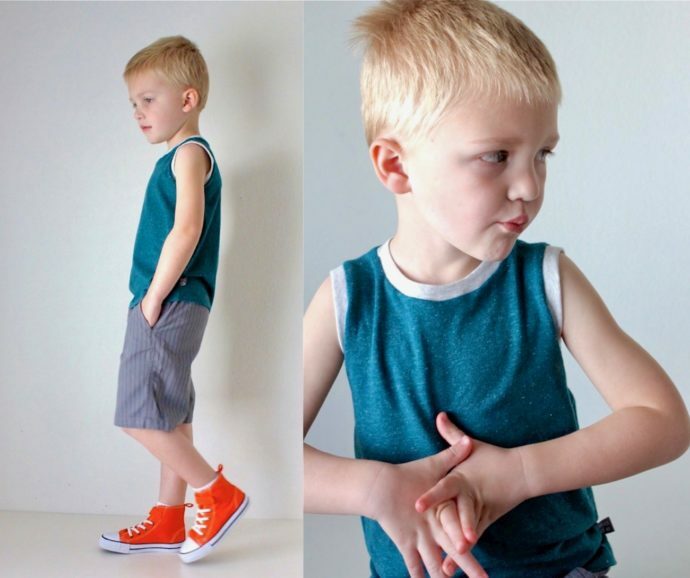 Love the muscle tees….and those grey shorts in the first and last photos…did you make them too? He is adorable. What a stud. You make everything look so easy! Love the Chewie shirt, too! I have enjoyed this whole series. My boys are 11 and 7 and it’s really hard to find boy-ish non-baby things to sew for them. I sew for my daughter all of the time and I know they feel a bit bad sometimes. I will have to make a larger pattern for these and the shorts and make them each a fun outfit made by mom just for them. Ü Wait, they need star wars PJ pants too! I had better get to sewing. Silly question: by the way you add so many pins to the ribbings (?) is that a prime way to avoid stretching while sewing? I have a HORRIBLE problem stretching knits when sewing…maybe I need to add more pins! Thanks for the pattern! 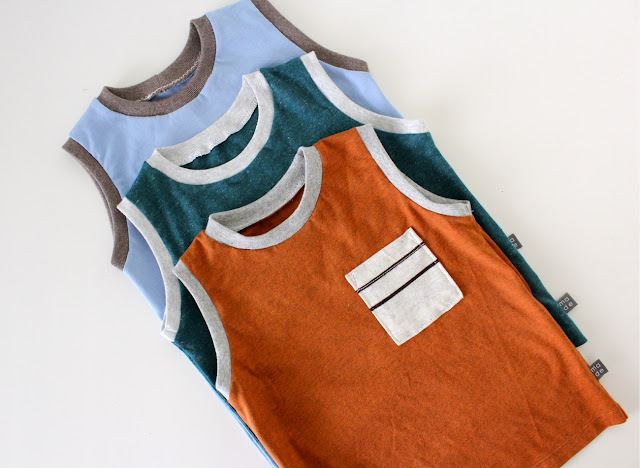 here is a link to the outfit I made with the muscle tee. http://pinterest.com/pin/334603447285046384/. Love this gorgeous pattern!!! Perfect timing for us as its winter here in NZ and my lil man refuses to wear jerseys! So problem solved by making muscle tees out of gorgeous merino knit to wear under his long sleeve tees! Thanks so much!!! Muscle Tees | MADE to make certain you get the correct anchor text. If you woud like to check out where your hyperlink has been placed, please email me at: selene_carden@gmail. i stumbled across your site while browsing for how to sew and you are the best tutor i have ever come across.you make sewing look soooooo simple.good work. Hello I was wondering if you could help me out on sewing a girls t shirt? Just a basic with fabric not using the knit type but the other you would use like for boutique outfits.Please and thank you. Thank you for the tutorial! This was my first time sewing with knits, and it was easier than I’d expected. This is so cute! Thank you for sharing, its so hard to find cute and manly sewing patterns for boys. 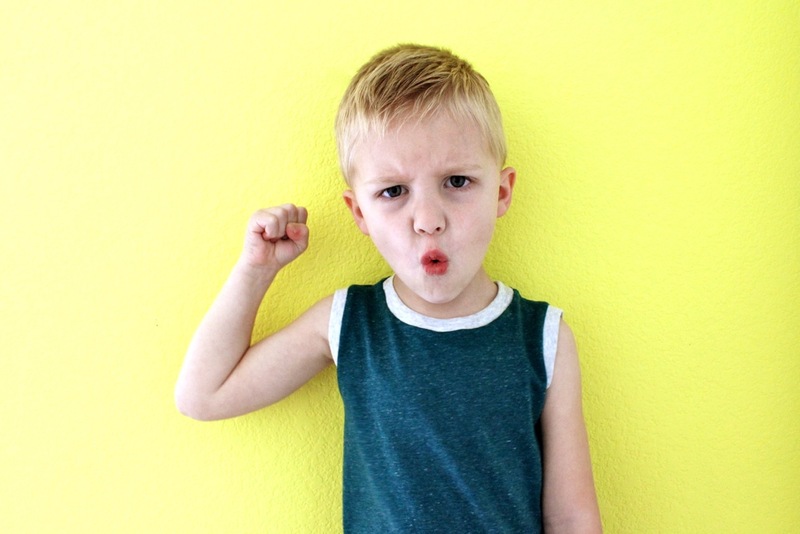 I shared a link to your blog on my blog in a post about boy’s clothes patterns and tutorials. Thanks again! Thanks for the tutorial! I can’t wait to make some for my little boys. I really love you website. I live in Australia and don’t understand the sizing you have over there, ie 2T. What does the T stand for? PS been looking how to make one for my hubby! Thanks for the tutorial! I’ve been trying to up cycle some of my old shirts into t-shirt dresses for my daughter and could never get the shirt part right until I tried your pattern. It was easy to follow and turned out great! I made her a Tinker Bell inspired dress using this muscle shirt pattern as the base. I’ll definitely be using this pattern again. 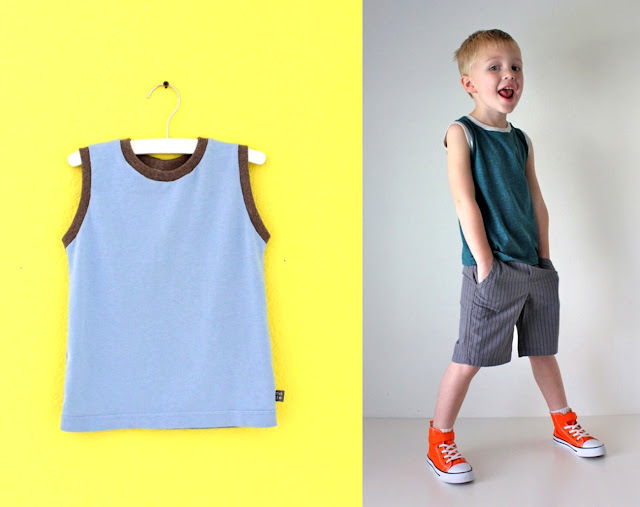 Pingback: 10+ Summer Boys Clothes Tutorials - Sew What, Alicia? 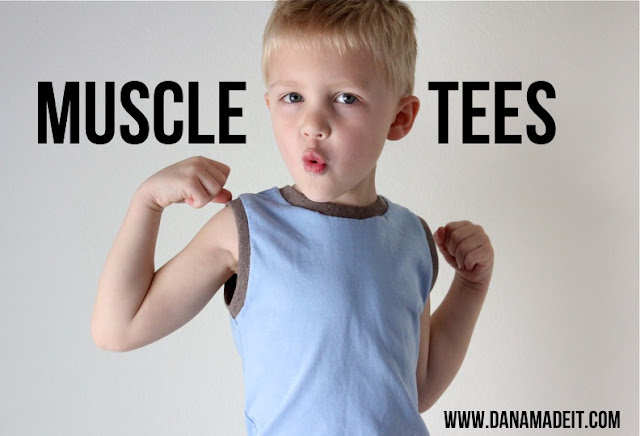 Can i ask for 2-3t size pattern for muscle sando? Sorry newbie here & still learning to sew new stuff. Thank you dana! Hi! Thanks so much for this tutorial. It seems difficult to find boy’s clothing patterns. Question: how do you suggest I size this up for a boys size 10? Thanks!